“Hunting is more than the harvest; it’s about the adventure,” says Donna McDonald, owner and operator of Upper Canyon Outfitters, located outside of Alder. According to McDonald, big game hunting has about a 30% success rate. She is quick to add, “If you’re doing it right, it’s not about that. It’s about the journey of the hunt.” Along with the adventure hunting brings, McDonald believes there are several ways it benefits your health. Exercise is the obvious benefit of hunting, but for many it goes beyond hunting season. Many hunters train all year in preparation for the crisp fall days with a rifle or bow slung over their shoulder. These men and women maintain a healthy lifestyle by keeping gym memberships and personal trainers, along with fueling their bodies in a healthy manner. Their goal of being in shape for hunting season has a positive effect all year. McDonald has been a licensed outfitter since 1989 and finds connecting with nature one of the ways hunting is beneficial to her health. “Get me into nature and on a hunt and my thoughts disappear. I am only focusing on my five senses and nature around me,” she says. For McDonald and others, hunting provides a respite from our fast-paced world, allowing one to sit, breathe, and practice mindfulness. From the prairies to the mountains, Montana provides the perfect landscape to clear your mind. When a hunter is lucky enough to fill their tag, they also have the added benefit of filling their freezer. Wild game is lean due to the animals’ grass-based diet. 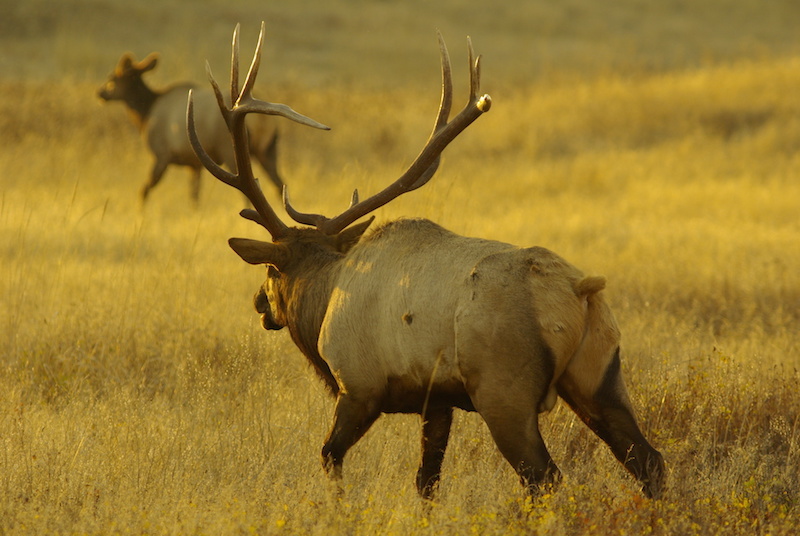 Elk and venison are both low in fat and their diet gives them a greater variety of vitamins stored in their muscle tissue. Many people take pride in knowing where their food comes from and providing for their family. Many hunters say they were taught the sport from a relative, the knowledge passed down from one generation to the next. Hunting is a great way to connect and spend quality time with friends and family, from learning the skills required to shoot a gun to working together to pack an animal out. Hunting can be a relaxing and therapeutic way to enjoy nature and sport in camaraderie. Montana is full of rugged terrain and going where the animals are can take you on many challenging hikes. The act of hunting pushes you to places, mentally and physically, where you otherwise wouldn’t go—the thrill of the chase putting physical limitations out of mind. Whether you hunt for the beauty of nature or the adrenaline rush of the hunt, stay safe this hunting season and enjoy all the benefits that hunting has to offer.